I bought a number of gelatin packets last weekend because they were on sale ($0.85 each, I think it was) and I was also planning on doing another Cathedral gelatin recipe. 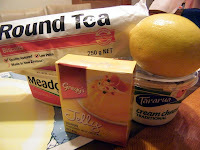 The boxes had a recipe each at the back and quickly had a look at the Lemon-flavoured gelatin and its lemon cheesecake recipe. It looked simple enough to make so I bought the other ingredients and prepared this that night. The following day some friends phoned and said they'll be visiting at lunchtime. They're the sort of visitors you like to have because they bring food and drinks to share! 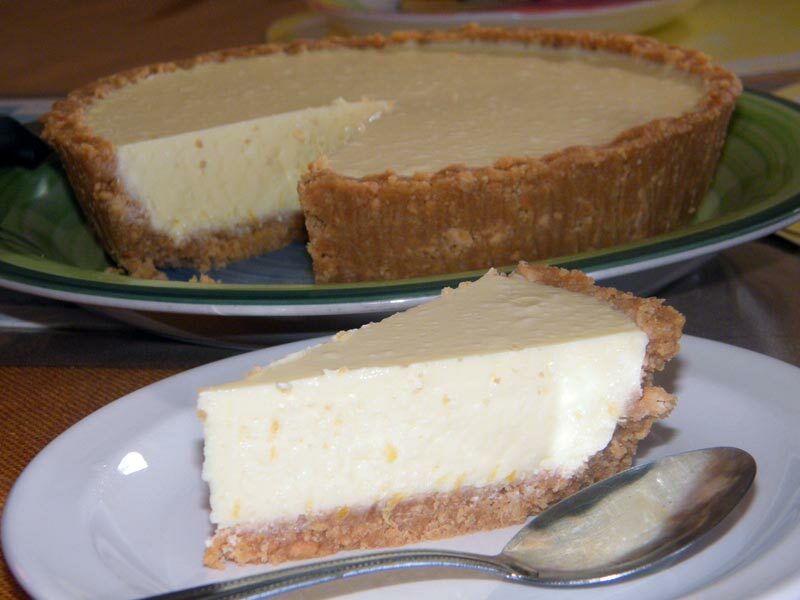 My wife thought it was a great idea to share the lemon cheesecake for dessert, but I was a bit hesitant because for all intents and purposes, it was experimental. So what was the verdict? Suffice to say, I was lucky enough to reserve a slice (the one at the photo above); it was 'sold-out'! 1. It called for lemon rind, which I believe includes the white part of the lemon skin (which is bitter). I used the zest instead. 2. 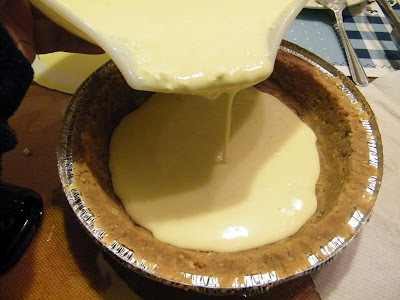 If you are using pie mould the size of a regular aluminum foil's, the cookie crust is too much; the next time I do this I will only use have the cookies and half the butter and use it only for the base and not the sides. Add the melted butter to the crushed biscuits in a bowl and mix then press this mixture into the pie tin. I used aluminum foil pie tin for this recipe. As you can see, the crust is too much as the sides are too thick. Will use only 50% next time and use it for the bottom only. 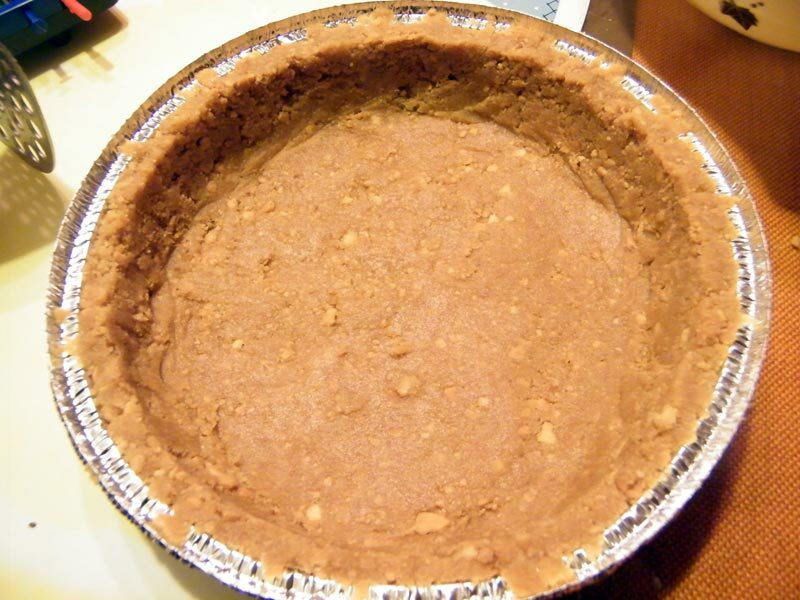 Chill the cookie crust for half an hour. While the crust is in the ref, dissolve the Lemon Jelly in the boiling water, then cool. 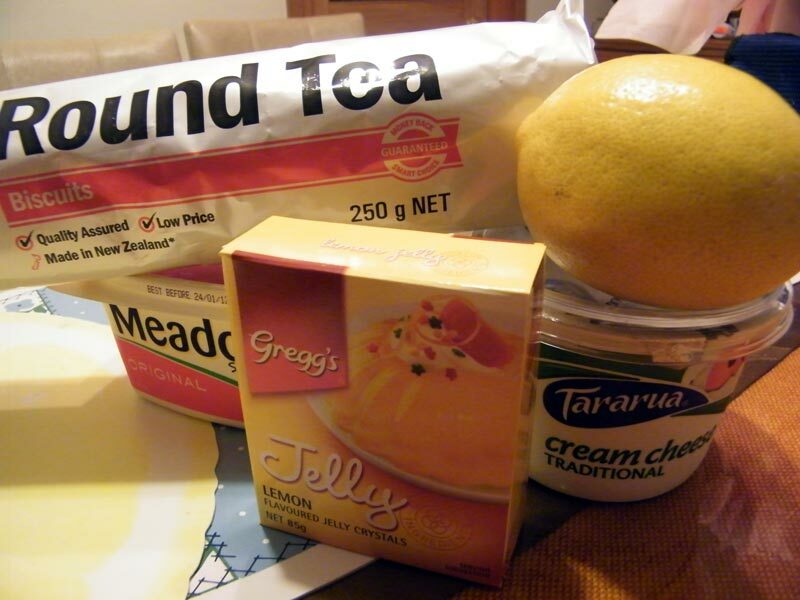 Beat cooled jelly, cream cheese, juice and rind (zest) of lemon until smooth. Had a bit of a problem with the cream cheese. It was in blobs! Should have let it stand in room temperature first, I Guess? But it was there already so I got a spoon and mashed it up against the side of the bowl until I was able to make it as smooth as possible. 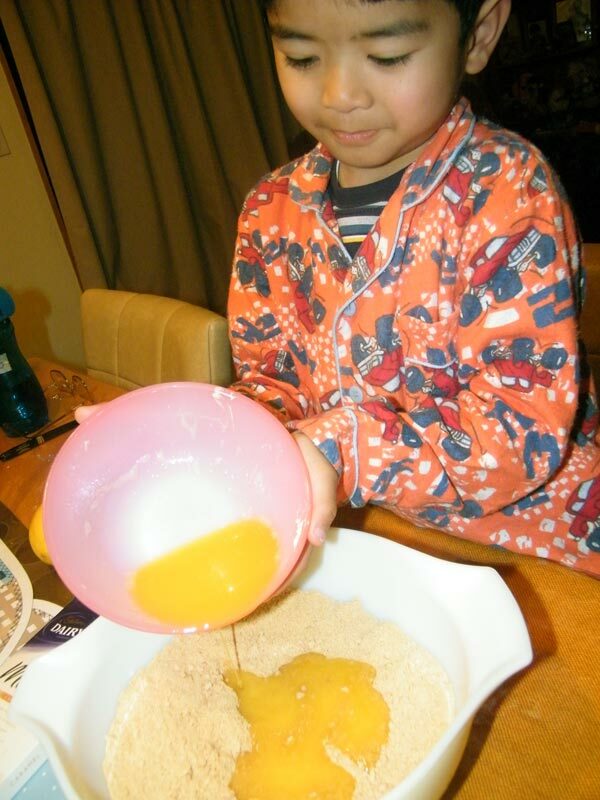 Did'nt bother with using the blender - too lazy to wash afterwards! Finally, as smooth a consistency as I can get. Pour onto biscuit base and refrigerate until set. This recipe's quantity is just right for the pan! Serve and wait for your friends to ask for the recipe (or refer them to this post!) Enjoy! Thank you Gregg's for this easy and yummy recipe! The cheesecake you made looks good! No wonder all your friends loved it. nice! ang laki na ni jo-lo!